Are you interested in pursuing a Master’s in Taxation? If you would like to become a tax professional with a public or private organization, it is important to take the correct graduate degree program that is designed to prepare you properly. As the name of the program insinuates, a Master of Science program majoring in Taxation will teach you the both general and specialized tax subjects so that you are an expert in Internal Revenue Tax Codes and International Taxation regulations. 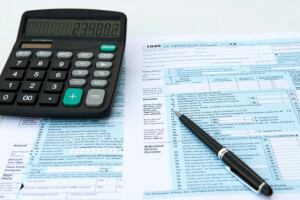 Unlike a MS majoring in Accounting, the Taxation major includes curriculum that revolves entirely around this aspect of accounting and finance. Read on, and learn what types of curriculum that you will complete and how this curriculum will help you in your career endeavors. What Classes Will You Take to Complete Taxation Curriculum? The coursework that you are required to take to earn a MS in Taxation will vary from school to school, but most schools have similar curriculum. To earn your degree, you must complete between 30 and 40 credits that are focused on tax and related subjects. You can expect to complete courses in: estate tax, gift tax, international tax, state tax, federal tax, partnerships, LLCs, corporations, tax research, individual tax issues, retirement planning, common law, and more. All of the subjects will take a real world approach so that you know both theory and how to apply the theory in a professional situation. What Are the Learning Outcomes of a Taxation Graduate Program? Now that you know what types of courses that you will take to complete a taxation curriculum, it is important to familiarize yourself with the learning outcomes of the most respected programs. When you graduate with your Master of Science degree, you will be prepared to identify tax issues and use tax principles and codes to apply the principles to actual real-life situations. You will also have a basic knowledge of IRS practices so that you can represent an individual who is going through an audit. With your degree, you will also have skills that you need to work in tax planning, tax practices, and corporate tax planning. By completing all of the coursework and retaining the information, you will be prepared to work as a professional tax professional. If this is the type of program that will get you where you would like to go in your career, now it is time to find an accredited program. You should always look for a program that holds an active accreditation so that you know that your credits will count if you ever want to test to become a CPA. Before you submit an application, you should review undergraduate requirements and GPA requirements. If you meet these requirements and you have completed prerequisite courses, you will need to submit your GMAT test scores. GMAT or GRE scores verify that you can comprehend the materials that will be covered in grad school.